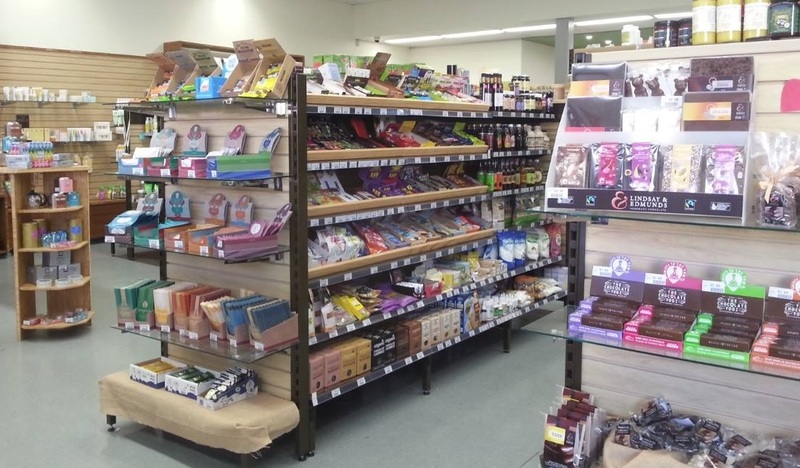 Mountain Creek Wholefoods, Griffith: A classic favourite. 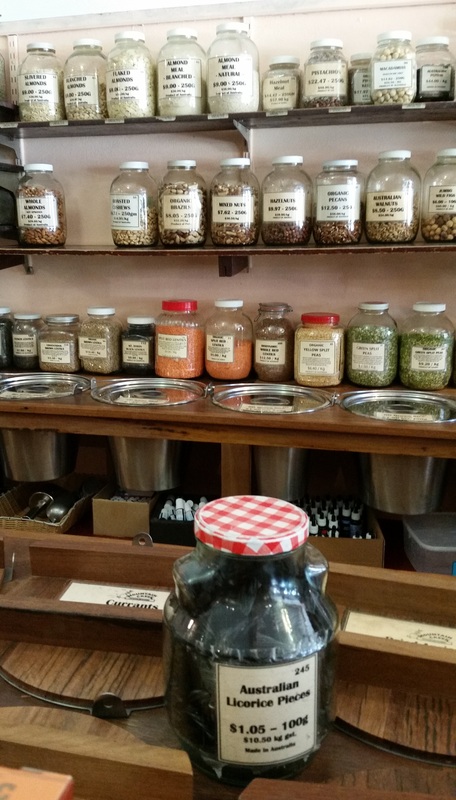 Extensive, intense tea range and lots of health shop products, dry goods that can be measured out (hot tip: there are even barrels under the counter), and a separate area with lots of eco-gifts. Great range of frozen goods and a lovely café to boot. Parking: Free (specific time limits), very close. Let’s be natural, Mawson: The giantest health-food shop! Their display of bring-your-own-container goods is overwhelming. Lovely vibe and they have the easiest discount club, it’s an automatic percentage off every visit, you don’t have to remember anything. I think there have been yoga classes in the past as it’s such a big space, and beauty treatments are also available. Greenway organic, Tuggeranong: Interesting ingredients, staples like nutritional yeast and dairy-free ice-cream. Lots of dry goods for dietary requirements e.g. celiacs, as well as frozen food and a wide range of chocolate bars. They get new products in a lot, but it can be worthwhile to phone to check that what you need is in stock. Parking: Free (Don’t park at Homeworld as it’s very expensive, usually Hyperdome is best as you can get a few hours free), relatively close. Or nearby on-street parking near the restaurant strip exit. As Nature Intended, Belconnen markets: Lots of what you’d expect in a health food shop plus fruit and vegetables and delicious cakes (see the cabinet). Really good vegan frozen food options, and lots of beauty products. Similar to Mountain Creek as it has a café component (very big) but many more meal options. ANU Food Co-op, Acton: Community-based, non-profit cooperative with bring-your-own-container options. Also sweets, vegan cheeses, unusual vegetables and fruit. Similar to As Nature Intended and Mountain Creek in that there’s an in-store café (the lunches are great value and generally vegan). It has been around for ages, I don’t remember when it was in the Union building, but before the current bricks-and-mortar, it was in a transportable building near the Law Courts, and prior to that, a different transportable near the current site. Parking: There is a loading zone out the front, but it’s more polite & good karma to park in the proper spots. There is a useful map on the Co-op’s website. 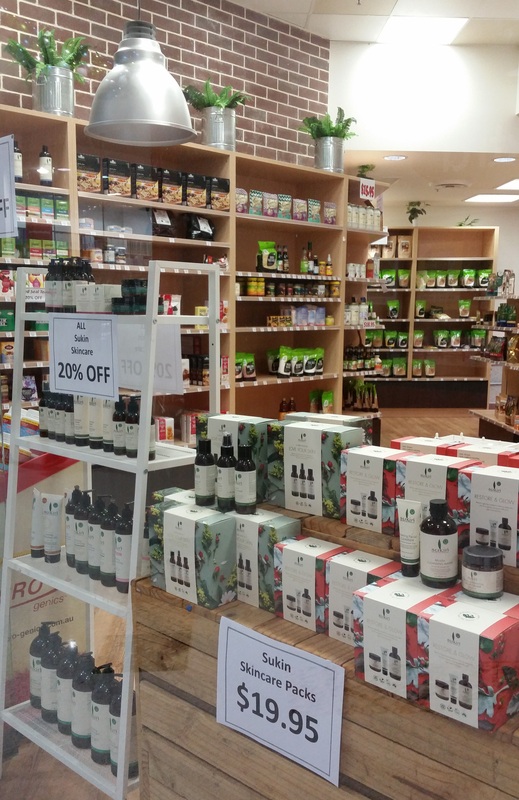 Naked foods, Braddon: I must admit, I was surprised when this opened, given the long-standing ANU Food Coop isn’t too far away. This is on my “to visit” list, as I never seem to get there during opening hours – “The store is set out in the style of a lolly shop – but the wares for sale are anything but.” – …and I’m like a little kid leaning my head on the glass trying to open sesame the doors. Parking: Paid, nearby or up the road. Canberra Organic Food Collective, Dickson: Grass-roots, affordable organic dry foods. Bring your own container options, it’s easy to decide what you want to order from the price-list (kilogram quantities). The only place I’ve found in Canberra that sells real, genuine, potent cinnamon. Worth it for that alone, but also other good spices, rice, nuts, beans and more. 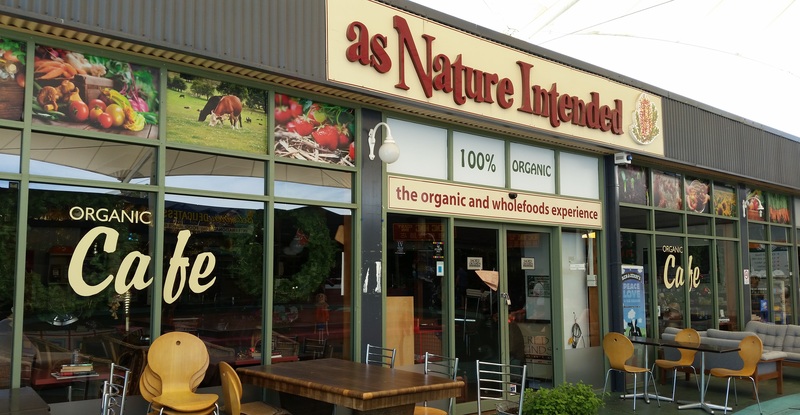 There are a few health food shop chain stores in Canberra (Go Vita, Healthy Life), but they are pretty easy to find so I haven’t listed them. You can also buy health foods in giant containers at Costco (dates etc. ), but I didn’t visit there as I balk at paying a nightclub cover charge, let alone a discount shop admission fee. I have found that Supabarn have really well-stocked and unusual “health food” aisles, too. And some places I’ve missed are in this fulsome list from Vegan ACT. As always, this post is not sponsored (my own time, money and opinions), but probably contains some South/North Canberra bias! All photos are from today apart from the Let’s Be Natural one (taken in April).